Regular readers will know that I’m a big fan of BuzzStream. I’ve written about using it for guest posting, infographic link building and broken link building before. 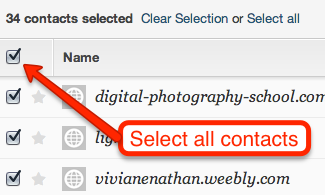 They have just released a new feature which I’m really pleased to see. Before going into the detail of the new feature, I wanted to explain why I think it is such a great addition. If you wanted, you could use BuzzStream to pretty much automate and scale every step of the link building process. You could do prospecting, import all the websites that you find, keep the ones where you have contact details, then send outreach emails to them all – without ever actually looking at the target websites. For obvious reasons, I do NOT advise this. With BuzzStream, I’d still go into each and every link target and open the website to check it manually before doing outreach to it. Whilst this isn’t a time killer, it did probably take a bit longer to do it than I’d have liked. But this is where I had to draw the line and not compromise on the quality of websites that I was contacting. The new feature is called the BuzzBar and allows me to still manually check websites, but at a much quicker pace than before. Below I’ll go through the steps for using this feature. 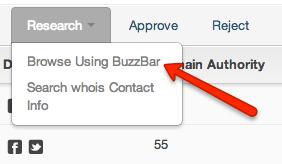 From within BuzzStream, you can do link prospecting using your own advanced search queries. The advantage of using this over just searching Google is that the results are automatically pulled into BuzzStream along with various link metrics. It will take a few minutes for BuzzStream to gather your results. 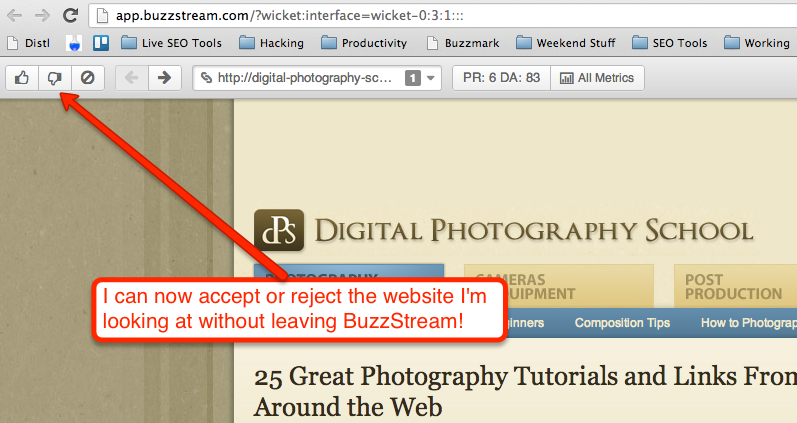 With the old BuzzStream system, you’d accept or reject the websites by clicking on one of the options highlighted in the red box above. But to do this, you’d have to open up each website individually, then come back to BuzzStream to accept or reject the websites. This worked fine but wasn’t massively efficient. This is awesome, in this example, I can go through 34 link prospects one at a time and accept or reject instantly. My decision will then be fed directly into BuzzStream and all I’ll be left with is the link prospects that I want to reach out to. I also have various metrics that I can take a quick glance at too but I usually scan the page first to get a feel for it before looking at metrics. If the page looks a bit spammy and not great for users, then I probably don’t worry too much about metrics and I’ll just reject it. 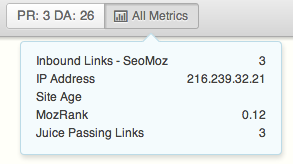 Generally, I’ll reject any site that has a homepage PageRank of 0 and perhaps a DA of 25 or below. It depends on the client and how wide their niche is though. If it’s a pretty small niche, then I’ll bend the rules a little. The thumbs up means that it is a good site and you want to outreach to it later. The thumbs down means that it is a good site but not quite right for your current campaign, so pressing this will remove it from your project. The last option is to blacklist the domain which isbest used for very spammy results that you not only want to reject for this project, but to stop BuzzStream from suggesting them in the future. This can also be used for sites that you’re probably never going to get a link from such as Amazon or YouTube etc. I saw this when they were testing it out and absolutely loved it – very pleased to see the feature go live! 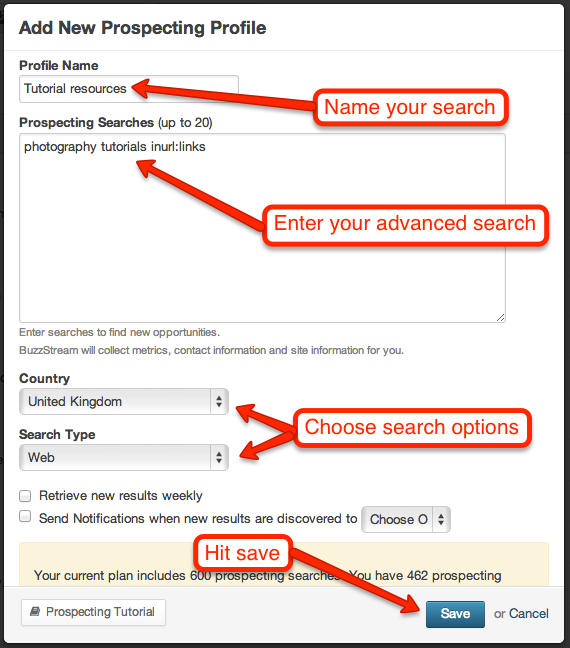 It makes BuzzStream a far better prospecting tool and saves a huge amount of time… It’d be useful if you could do a manual import of prospects to review though (or, potentially, use the checkbox -> research method from the Link Prospecting screen). Thanks for covering the capabilities, Paddy! Hey Matt – this is just the first iteration of the buzzbar and expanding it’s capabilities is top priority. There’s so much that I envision getting added to it. Expect to see this and many other changes very, very soon (outreach will likely get added to it in the next week and a half). Thanks for the detailed post with illustrations Paddy! 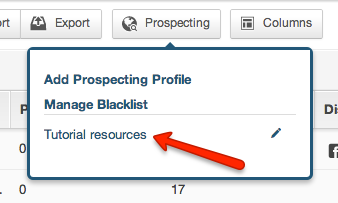 This will save a huge amount of time when prospecting! Thanks for highlighting this feature, I have to say after starting to use it I think it would really benefit from being able to add tags, and e-mail address to the prospects so they can be moved immediately to specific prospecting niches. Use code BLOG at checkout to receive 25% off The Link Building Book – THE most comprehensive book on building links. Click here to go to The Link Building Book and claim your discount code.